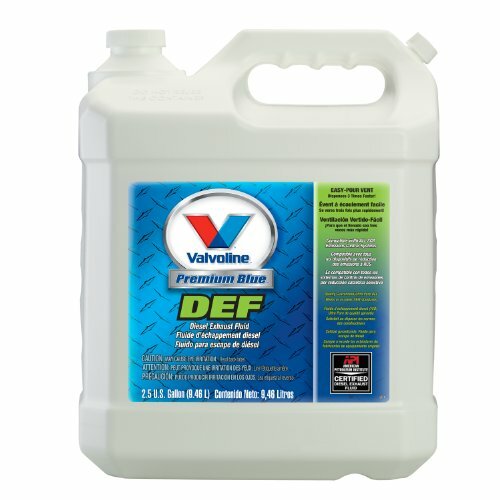 Valvoline Premium Blue Diesel Exhaust Fluid enables on-highway diesel engines to meet the EPA's near-zero NOx (Nitrogen Oxide) emissions levels required for 2010 and later. The Environmental Protection Agency requires all 2010 and later on-highway diesel engines to meet NOx (Nitrogen Oxide) emission standards. In order to meet these lower standards, most engine manufacturers are using Selective Catalytic Reduction (SCR) exhaust after-treatment. These systems mix Diesel Exhaust Fluid (DEF) with exhaust gas and use a catalytic converter to change the NOx emissions into Nitrogen and water. Hot Shot's Secret P040432Z Diesel Extreme Clean and Boost - 32 fl. oz.